New Delhi (Sputnik) — In a startling admission, Indian Air Force (IAF) Chief BS Dhanoa has revealed that India cannot match the combined air combat strength of China and Pakistan even if it were to add around 200 fighter jets to its fleet, while warning that India is currently facing grave threats from its adversaries. "What we do not have are the numbers, against a sanctioned strength of 42 squadrons, we are down to 31. Even when we do have 42 squadrons, we will be below the combined numbers of two of our regional adversaries. We have to match neighbors Pakistan and China to tackle a two-front war," Air Chief Marshal BS Dhanoa said while speaking at an event in New Delhi. Each squadron of the Indian Air Force consists of 18 fighter jets. Pakistan has 20 squadrons "that can be brought to bear against us" while China has approximately 1,700 fighter aircraft, 800 of them fourth generation, Air Chief Marshal Dhanoa added. The IAF chief further elaborated on the threat from the northern adversary observing that China has enhanced its combat strength in the Tibetan region in recent years. "Chinese fighter aircraft have been permanently stationed in the Tibetan Autonomous Region (TAR) in the past few years. Advanced radar and surface-to-air missiles have also been stationed in the region," Dhanoa added. 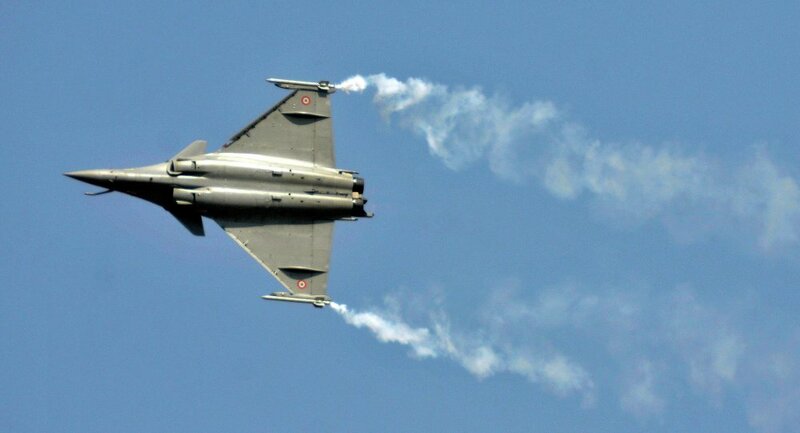 However, he was of the opinion that Rafale fighter jets and the S-400 Triumf air defense system would help bolster the combat capabilities of the country. "By providing the Rafale and S-400, the Government is strengthening the IAF to counter the depleting force numbers," Dhanoa stated. India and Russia are expected to seal the contract in the first week of October on a S-400 purchase, as all negotiations including money transfer issues between the two countries have been settled. Prior to signing the deal during the upcoming visit of Russian President Vladimir Putin to New Delhi, India's Minister of External Affairs Sushma Swaraj will visit Moscow on September 13-14 to hold a meeting of the 23rd India-Russia Inter-Governmental Commission on Technical and Economic Cooperation (IRIGC-TEC), co-chaired by her and Yuri Borisov, deputy prime minister of the Russian Federation.